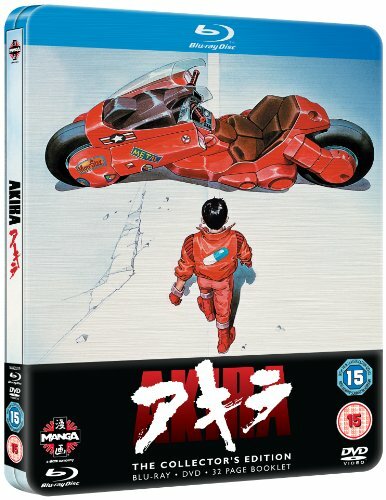 Artist-writer Katsuhiro Omoto began telling the story of Akira as a comic book series in 1982 but took a break from 1986 to 1988 to write, direct, supervise and design this animated film version. Set in 2019, the film richly imagines the new metropolis of Neo-Tokyo, which is designed from huge buildings down to the smallest details of passing vehicles or police uniforms. Two disaffected orphan teenagers--slight, resentful Tetsuo and confident, breezy Kanada--run with a biker gang, but trouble grows when Tetsuo start to resent the way Kanada always has to rescue him. Meanwhile, a group of scientists, military men and politicians wonder what to do with a collection of withered children who possess enormous psychic powers, especially the mysterious, rarely seen Akira, whose awakening might well have caused the end of the old world. Tetsuo is visited by the children, who trigger the growth of psychic and physical powers that might make him a superman or a super-monster.